One of the unexpected pleasures of rereading the 3rd issue of Outlook was the reanimation of Allan Bérubé’s singular voice. He died in 2007, and I didn’t realize until I read his Fall 1988 essay again that he really was one of our best public intellectuals, up there with Vito Russo, Dorothy Allison, Essex Hemphill, Joan Nestle, Armistead Maupin and Leslie Feinberg. To listen to his clear, strong, intelligent voice probing towards clarity amidst the murky swamp of AIDS circa 1988—one of its most lethal, enervating years—was to hear a very personal, passionate response to those whom, he charged, “[h]ave taken on the task of assigning their own meanings to other people’s illnesses.” But he didn’t denounce or demonize those who sought to make of AIDS “a lesson” or for whom infection was a “gift.” Rather he worked to explain, with understanding and even tenderness, the all too human desire to harvest meaning out of suffering as our meager emotional recompense. Having lost a partner to the plague, his empathy for those on the other side was admirable, but he argued his points forcefully, for he was always in the final analysis every bit as much an ethicist as he was an historian. His prose was like a knife through the easy cant and preprogrammed emotional formulas of that time, those bromides engineered so as not to have to confront, as he fearlessly confronted, the sheer randomness, the horrifying meaninglessness, of so many deaths, not least that of the man he loved. Above all, Allan Bérubé clearly felt a moral responsibility to the social and political movement that allowed him to live his life largely un-shadowed by anything save the arbitrary death-dealing of this new disease. That there’s nothing dated about Bérubé’s article, nothing that isn’t as true now as it was then, is a surprise, not only because it was (shudder) thirty years ago, but because other writing in that issue clearly bore an expiration date. We don’t sweat the essentialist/constructionist debate now like we did then, and Paul Monette’s white hot poetic screed, Buckley, trashes a vile figure who is now thankfully receding into the mists as an empty caricature of himself. As a whole, this issue of Outlook excelled at the things that made it so beloved, the serious attention to the divergent effects of gender, the frank discussion of sexuality, the mix of academic and non-academic voices. But what made reading Bérubé such a tonic, that rare experience of cheering an author on as s/he systematically demolished weak and formulaic arguments, was the recognition that we finally had a champion—which is but another term for a public intellectual. The public intellectual is a fast-fading species. Most of the folks I listed above as queer public intellectuals were born in the 1940s and the majority are no longer with us. We have plenty of smart queer thinkers today, but they are largely holed up in the academy writing for other smart queer thinkers. The public, as both an audience and a sphere of influence, now seems beyond the pale, either dismissed as unreachable, assailed as unintelligent—“they” did elect Trump after all—or rather more narrowly, deemed insufficiently rewarding in professional terms. But what made Outlook stand out, what animated someone like Bérubé, was credence in the import and value of speaking to the public. And by public I mean not just readers of the New York Times, but as diverse a pool as possible in terms of gender, race and class to be sure, but also geographically, culturally, generationally, sexually, experientially—the public defined as potentially everyone. Outlook called itself a “National Lesbian and Gay Quarterly,” but it really, avant-la-lettre, was queer, that bold dream of a new kind of public, an anti-hierarchical, self-critical collective for whom sexuality was merely one taste among many others, distinguished only by the fact that it existed in a culture that still freighted certain tastes—unduly, unfairly—with meanings that were not their own. No matter how particular, how specific to gay and lesbian, bi- and transsexual experience writers like Bérubé or Fineberg or Maupin hewed, there was a unity to what they described, which allowed them to transcend the individual and distinct for something we shared, that unmistakable commonality of certain emotional responses. I miss their faith in the public every bit as much as I miss the disappearance of the public intellectual, and clearly their fates are linked. Long before an electronic revolution elevated private moods and incoherent thoughts into general address, writing for the public could be among the highest ethical occupations. Today we are at once more public, and less publically minded. There are certainly blogs, and other kinds of opinion pieces on the internet that embrace the same purpose and ethics as did Bérubé’s writing. But they cohabitate with the most vile lies and partisan as hominens we have ever seen. We could once trust that where something appeared told us something about its trustworthiness. No longer. If there is a young Bérubé writing today, they might never gain the audience they’re due. To mistake the internet’s open accessibility for the public is to mistake the medium for the message, just as Marshall McLuhan predicted we would. 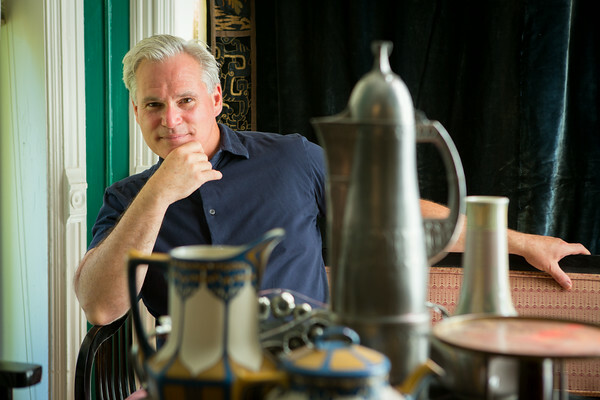 Jonathan D. Katz directs the doctoral program in Visual Studies at the University at Buffalo. He co-curated Hide/Seek: Difference and Desire in American Portraiture, the first queer art exhibition ever mounted at a major US museum, which opened at the Smithsonian National Portrait Gallery, then traveled to The Brooklyn and Tacoma Museums, winning the Best National Museum Exhibition award from the International Association of Art Critics and the best LGBT non-fiction book award from the American Library Association. His next major exhibition, entitled Art AIDS America, traveled to 5 museums across the US, accompanied by a substantial eponymous new book. A pioneering figure in queer studies, Katz was the first full-time American academic to be tenured in the field and chaired the first department of Gay and Lesbian Studies in the US, at City College of San Francisco. As an Associate Professor at Yale University, Katz was Founding Director of its Lesbian and Gay Studies Program, the first in the Ivy League. An activist academic, he founded the Queer Caucus for Art of the College Art Association, the professional association of artists and art historians, co-founded Queer Nation, San Francisco, and founded the Gay and Lesbian Town Meeting, the organization that successfully lobbied for queer anti-discrimination statutes in the city of Chicago. He is the president emeritus of the new Leslie Lohman Museum of Gay and Lesbian Art in New York City, where he has curated numerous exhibitions.